WELCOME TO GOOD LIFE MOBILE DOG GROOMING! 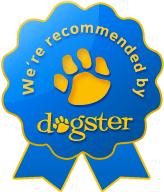 The Good Life Mobile Dog Grooming gives your pet the best care by a professionally trained and certified groomer. My goal is to keep your ‘furry family member” safe, healthy and happy from start to finish! Convenience For You, GROOMING AT YOUR DOORSTEP! Our mobile dog grooming services available for Puppies, Adults & Seniors at your doorstep in Rockland & Bergen county. Reasonable prices for exceptional service!